The West (namely the Green River in Utah) is where the modern-day river rafting vacation was invented. 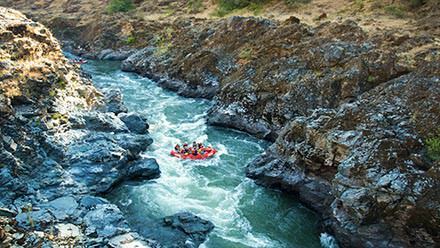 You've already found the best rafting vacations in the West, with Western River Expeditions, so now it's time to examine what makes these the best Western rivers to explore! Soak up the knowledge, "pour" over the maps, plunge into the canyons and experience why these are the rivers we choose to run. 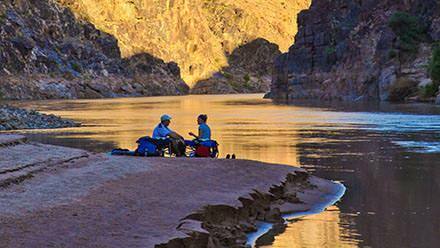 From the Snake River, Salmon River and Rogue River of the Pacific Northwest to the mighty Colorado River and Green River in the Southwest, these rivers offer some of the top-rated adventures in the world. 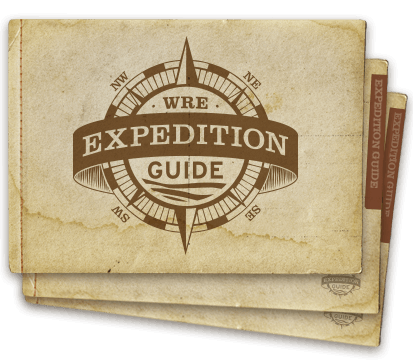 Expeditions on these Western Rivers run from 3 to 7 days in length and each includes everything you need to make your experience unforgettable. 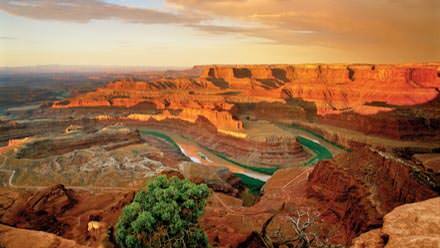 The Colorado River begins in Colorado but makes a splash in Utah and Arizona as it pours through three distinct canyons: Westwater Canyon and Cataract Canyon near Moab, Utah, and then through the famous Grand Canyon in Arizona. There are actually several rivers in the world with the name "Green River", but only one that can claim to be the birth place of modern-day river rafting. 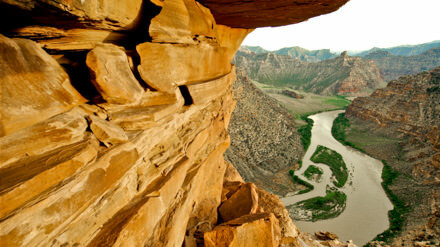 The Green River descends from Wyoming and cuts through Desolation Canyon along Utah's remote eastern border. 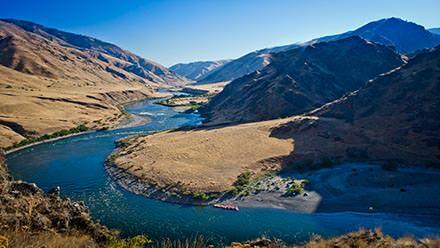 Named as the "River of no Return" by the Lewis & Clark Expedition because of it's powerful rapids and downstream draw toward the ocean, the Salmon River and the Middle Fork of the Salmon are two world-class rivers for rafting. 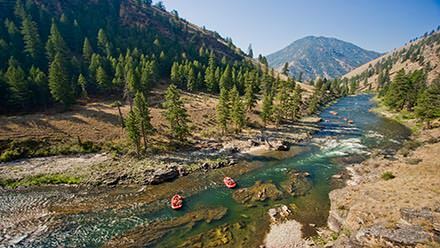 The Snake River begins in the slopes of Yellowstone and Teton National Parks and cuts lava gorges through Idaho's "magic valley" and then descends into the deepest gorge in the United States: Hell's Canyon. The Rogue River has a reputation for being wild, and that it is, in spades. But it's also grandfathered in a few creature comforts in the form of rustic lodges and cabins that dot the waterway. 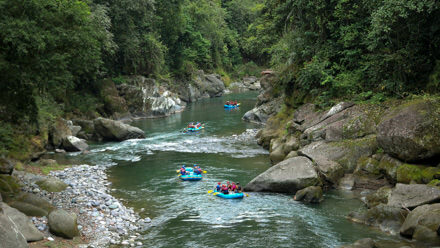 The Pacuare River is the prime river rafting river in Costa Rica. The rafting season on the Pacuare River is opposite that of the other rivers mentioned in the States. Explore a unique jungle river with the luxuries of the acclaimed Pacuare Lodge.